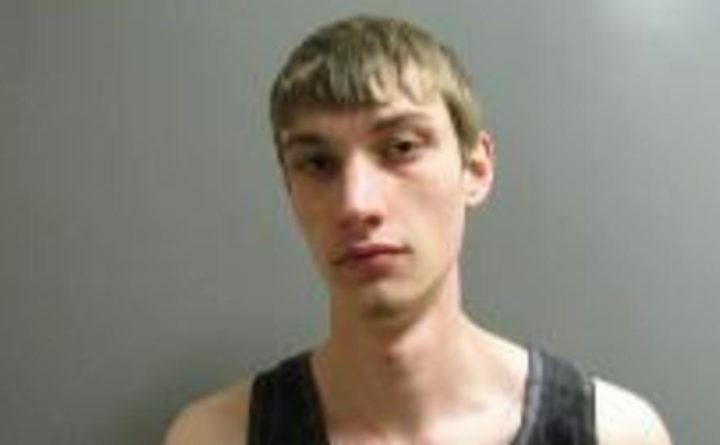 The Lincoln County Sheriff’s Office has arrested a man from Boothbay Harbor in connection with a home invasion in Nobleboro on Monday, April 16. Hunter Andrews, 19, faces a single count of class A robbery, according to a press release from the Lincoln County Sheriff’s Office. Detectives arrested Andrews at about 10:30 p.m. Monday. About 14½ hours earlier, a man entered a home on Center Street in Nobleboro, attempted to steal valuables from the owner, and “displayed a type of hand tool as a weapon,” according to an earlier press release. After a brief confrontation, he fled without taking anything. He fled the area in a green, early 2000s Ford Explorer SUV. The home invasion was reported at 8:03 a.m.
At 4:52 p.m., the sheriff’s office released a photo of a vehicle similar to the SUV and, shortly thereafter, a sketch of the suspect. The agency asked for the public’s help to identify the man. The suspect was described as a thin white man, about 20 years old and 6 feet tall, with wavy blond hair. He had last been seen wearing a dark hooded sweatshirt, light pants, and tan work boots, and carrying a black backpack with brown trim. A “concerned citizen” saw the information on Facebook and called in a tip. “When confronted at his home, Andrews admitted to the offense,” Lt. Michael Murphy said in a press release Tuesday morning. Andrews was taken to Two Bridges Regional Jail, where he was being held without bail pending a court appearance. The Damariscotta Police Department and Waldoboro Police Department assisted the sheriff’s office in the investigation.